The MacArthur Transit village site is approximately seven acres and is presently used as a surface parking lot containing approximately 600 parking spaces. 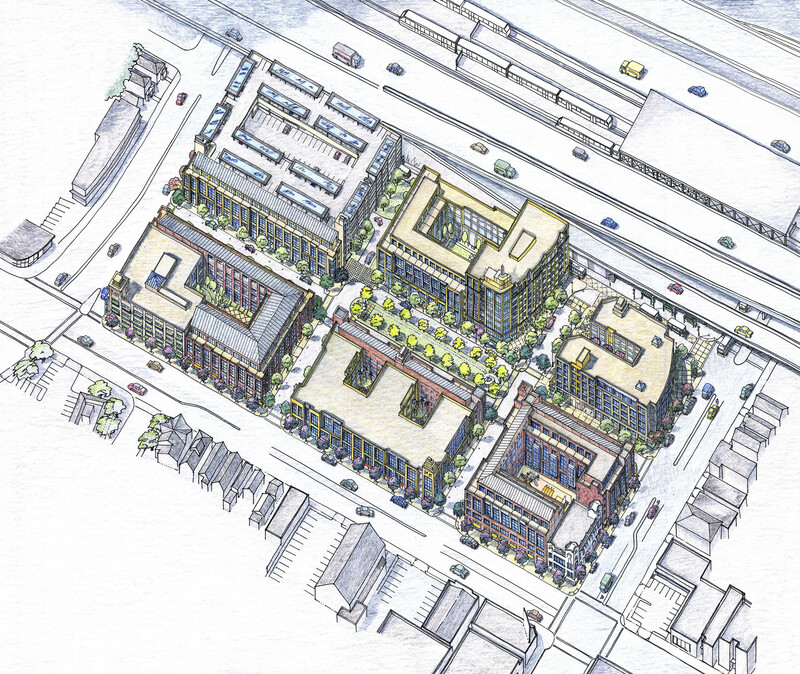 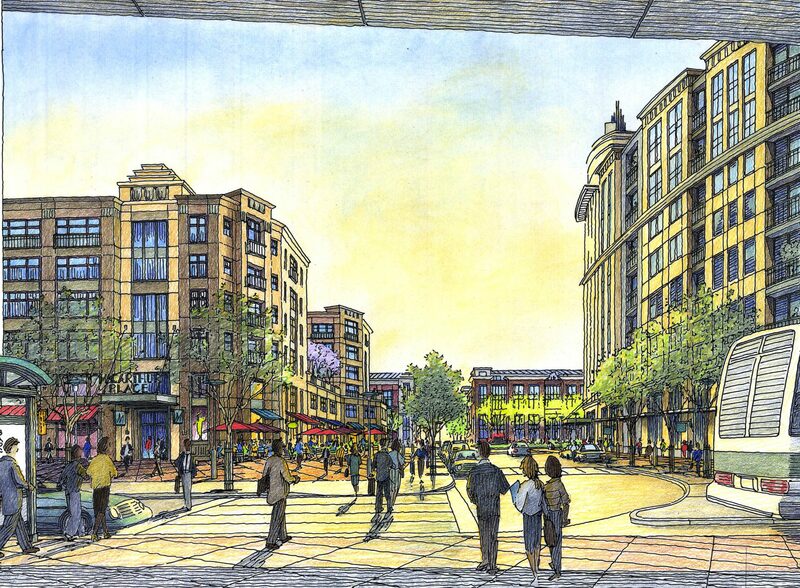 The goal of the development is to create a transit-oriented, housing-focused, mixed-use development, which functions both as a focal point and an integrated link with the rest of the community. 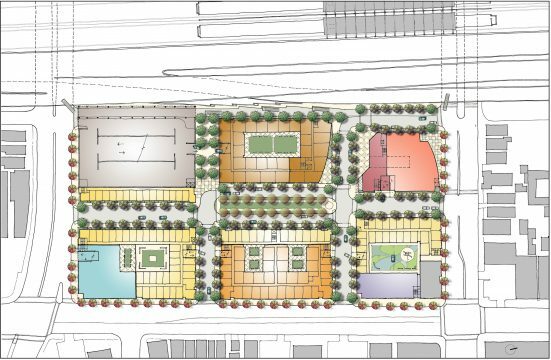 The six-block pattern and massing was developed to create a walkable neighborhood pattern by maximizing the number of blocks and ensuring the highest number of residences and retail shops facing and activating streets. Building heights in the Transit Village are about four to five stories to create a project that responds to the commercial and residential context of the area while maximizing development potential.